It is tempting to equip your business website with automatic machine translation. It’s quick, it’s convenient, it’s easy to get. 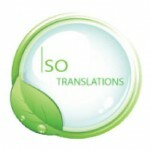 Why should you spend more money on high quality translation services when machine translation is so readily available? Here are some reasons that you should consider. Machine translations are not 100% accurate. Sure they can get most of the job done but they could fail on a part that you need the most. Not understanding that particular part could mean the difference between injury and safety, life and death, gain or loss. Machine translations give your company a bad image. Just as you would spend a lot of money on quality suits and shoes to give a good impression, so should you spend money to dress up your website in great translation. Quality translation not only means translating the meaning to the target accurately, but presenting the words in correct and fine grammatical form. For that you would need to pay for professional translation. Poor quality translation may be offensive. Just as we would prefer to hear “inexpensive” and “affordable” instead of “cheap”, other languages have their own preferable words. These subtleties can not be expressed by machine translation or even by amateur translation. Only professional translation can ensure that the finer details and nuances of carefully chosen words will be incorporated in the translation. Getting professional translation is impressive. Displaying the fact on your website that you had your translation done by a professional translation agency gives the impression to clients and partners alike that you are scrupulous and precise. If you are fastidious when it comes to one aspect of your business then you are also exacting when it comes to other parts of your business. Clients and partners like that attention to detail. It means they can trust you to handle their transactions meticulously. 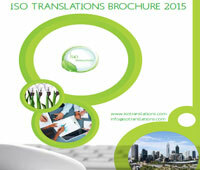 Quality translation sets you apart from the competition. There are many ways to stand out from the competition. Delivering quality products. Providing quality service. Offering discounted rates and promos. Of all these, having your website done by professional services is probably the quickest and easiest measure to be above the rest.